The pons (metencephalon) lies beneath (anterior to) the cerebellum and is around 2.6 cm in length. The pons has been arbitrarily divided into the dorsal or posterior tegmentum, and a basal or anterior part, sometimes referred to as the pons proper. Transection of the caudal pons at the level of the facial colliculi shows the fourth ventricle prominently, as well as the middle cerebellar peduncles. (The term colliculus refers to the visible swellings caused by the mass of the nucleus.) The superior and inferior cerebellar peduncles and the nuclei and spinal tracts of several cranial nerves are also visible. The medial lemniscus runs at the base of the tegmentum, and above it the area occupied by the reticular formation is now much larger than that of the medulla. The trapezoid body consists of fibers from the cochlear nuclei and the nuclei of the trapezoid nucleus in the pons; these convey, for example, auditory information arriving in the pons. Ascending and descending fiber tracts, such as the corticospinal tract, course through the pons. The basal (anterior or ventral) portion of the pons consists of transverse and longitudinal bundles of fibers. The fibers constitute, mainly, a massive relay system from the cerebral cortex to the contralateral cerebellar cortex. 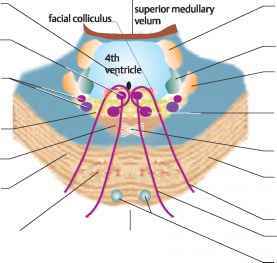 Dorsolateral to the reticular formation, lying in the floor of the fourth ventricle are the vestibular nuclei, which receive afferent inputs concerning equilibrium and balance and which are then well placed to be relayed to the cerebellum. The cerebellum in turn sends afferents from Purkinje cells to the vestibular nucleus; these are inhibitory, and release the neurotransmit-ter Y-aminobutyric acid (GABA). The vestibular nuclei project efferent fibers to the middle ear. 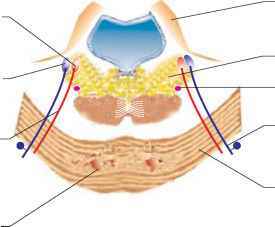 The motor nucleus of the facial nerve innervates facial muscles, and its function is clearly manifested when the facial nerve is damaged. 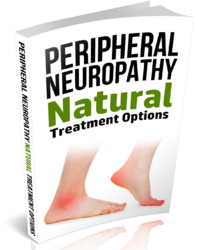 This results in partial paralysis of the facial muscles (Bell's palsy), and possibly autonomic disturbances. Transverse section through the pons higher up (rostrally) reveals similar structural features, except that the motor and sensory nuclei of the trigeminal nerve are now clearly visible. The principal sensory nucleus of the trigeminal nerve lies lateral to the motor nucleus, and its sensory incoming fibers lie laterally to the efferent fibers of the trigeminal nerve, which leave the trigeminal motor nucleus. The superior cerebellar peduncle is now more prominent, as is the lateral lemniscus, which runs dorsolateral to the medial lemniscus. Damage to the pons results, typically, in muscle paralysis or weakness of structures innervated by cranial nerves. For example, a childhood tumor of the pons called astrocytoma of the pons, is the most prevalent brainstem tumor, and causes a number of symptoms that reflect the paralysis of the ipsilateral cranial nerve; thus there may be weakness (hemiparesis) of facial muscles due to damage to the facial nucleus. The pons may be damaged by hemorrhage of the cerebellar arteries or of the basilar artery, and, depending on whether the damage is unilateral or bilateral, will result in facial paralysis and contralateral paralysis of lower limbs, through damage to corticospinal fibers which traverse the ventral pons. What is posterior (caudal) section of the cerebral cortex? What are the transverse nerve fibres on pons?